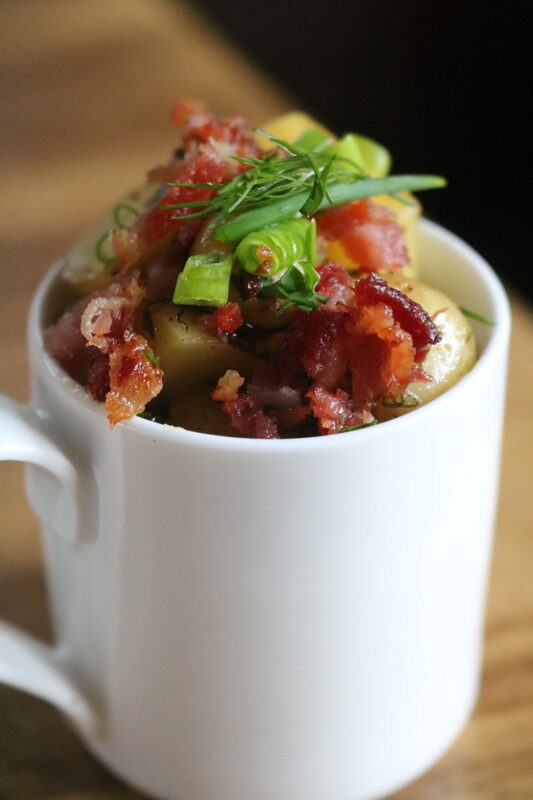 We’re ‘FALLing’ for you September… these cooler days and dreary nights are making us crave comfort foods like our Warm Bacon Herb Potato Salad. YUM. Medium dice golden potatoes and bring to a boil in salted water. Cook until fork tender. Cook 1 lb of center cut bacon until crisp and reserve the fat. Transfer 1/3 cup of the fat into a large sauté pan and add the onion sauté ring until golden brown. Whisk together sugar, mustard, and vinegar, and stream the mixture into the bacon grease and onions. Simmer for 1-2 minutes until the sugar is dissolved and add the potatoes tossing with a rubber spatula until evenly coated. 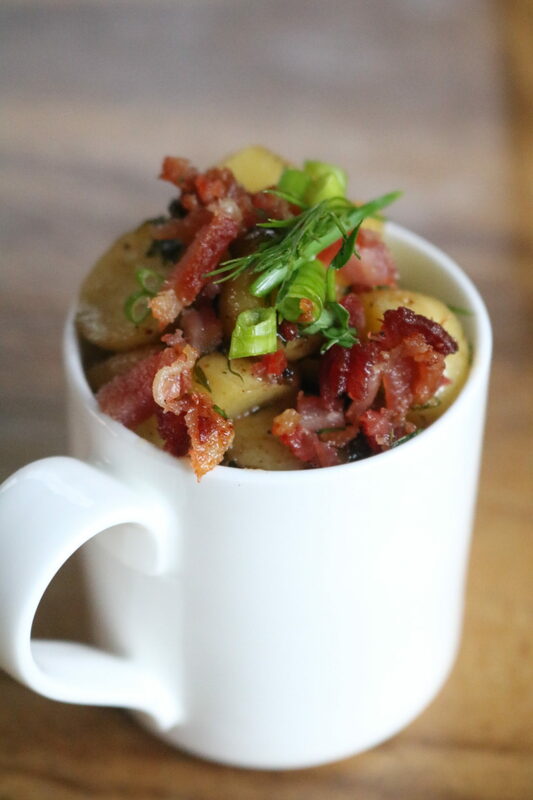 Remove from heat and toss with the fresh herbs and top with bacon crumbles. Generously salt and pepper to taste. Serve immediately. Enjoy!